Phylicia Fant has established herself as a premiere publicist in the entertainment industry and has diverse experience from years in the field. Beginning at Motown, she played an instrumental part in raising public awareness about “the neo-soul movement.” During this period, she worked with artists on the forefront of this musical movement including Erykah Badu and India.Arie, while also working other well-known label acts, Brian McKnight and 702. Although Phylicia always had a “knack” for publicity, she eagerly honed her skills while quickly fattening her rolodex. This eventually led to her promotion to Universal’s Pop music department, working with diverse marquee acts such as Prince, Amy Whinehouse, Lindsay Lohan, JoJo, 3 Doors Down, Damian Marley, Stephen Marley, Qtip, Akon, Kelly Rowland, Mya, Swizz Beatz, Kid Cudi and Michael Bolton, to name a few. She left Universal in 2011 after 10 years. In addition to musicians, her responsibilities include establishing relationships in the film,nightlife, hospitality, fashion and sports industries to create event and lifestyle opportunities that enhance the overall execution of her publicity campaigns. 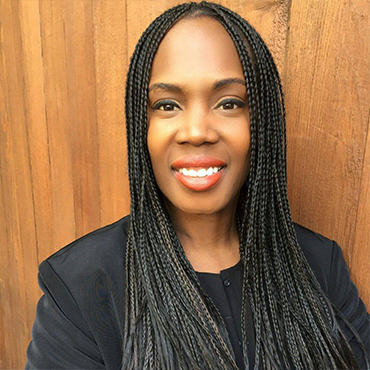 She is currently VP of Publicity and Lifestyle Strategy for Warner Bros. Records where she overseen and assisted in campaigns past and current for artist such as Jason Derulo, Maybach Music Group, Wu-Tang, OVO Sound,NileRodgers,Prince, Nico& Vinz, Theophilus London, Common, Cher, Bebe Rexha, Gary Clark Jr., Lianne La Havas, Macklemore and Ryan Lewis,and Andra Day. Fant had been a member of the NARAS for 12 years, consultant for Music Unites, serves co-founder of Honorable Women in Music, founder of the industry job summit at her alma mater Spelman College, and a member of Delta Sigma Theta Sorority Inc.